I was walking around Blockbuster (yes, those are still around – for now), trying to find two good $1.99 movies for their buy one, get one free sale – as anyone would do, I'm sure – when something interesting caught my eye. Near the checkout, there was a book with a handsome crimson cover and bold white text: "Rue Morgue Magazine's 200 Alternative Horror Films You Need to See." Since I am always on the lookout for new "silver screen surprises," the title of this tome naturally captured my interest. I walked out of the store with "Adam," "The Last Lullaby" (which carries a blurb by Lee Goldberg, a terrific author and screenwriter), and this book – all for $12 and change. I haven't watched the movies yet, but I raced through the book's 161 pages in a matter of days. It features a few fright flicks you've probably heard of, and – even better – many you likely haven't. There are hundreds of great reviews, as well as interviews, top ten lists, and full color photographs and artwork. It will come as no surprise to horror diehards that the writers and editors of Rue Morgue Magazine have done their homework and clearly know their genre inside and out. If a movie has been inspired by an earlier work, they'll reference that. 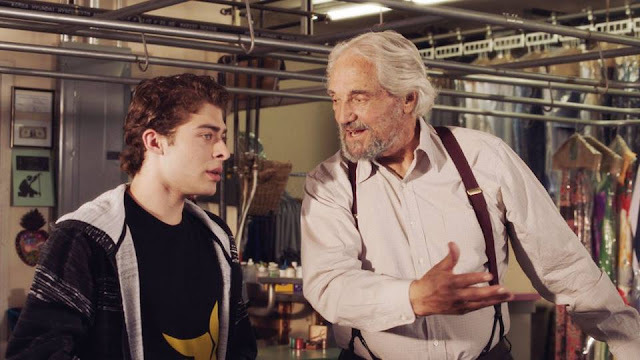 If certain elements aren't up to par (which isn't exactly unheard of in many of the low-budget productions mentioned), they'll point that out while explaining why the film is still worth watching. The most fervent fans of any particular genre are obviously going to pick up on qualities that mainstream critics and general moviegoers tend to overlook or dismiss. The Rue Morgue crew is no different when it comes to horror. 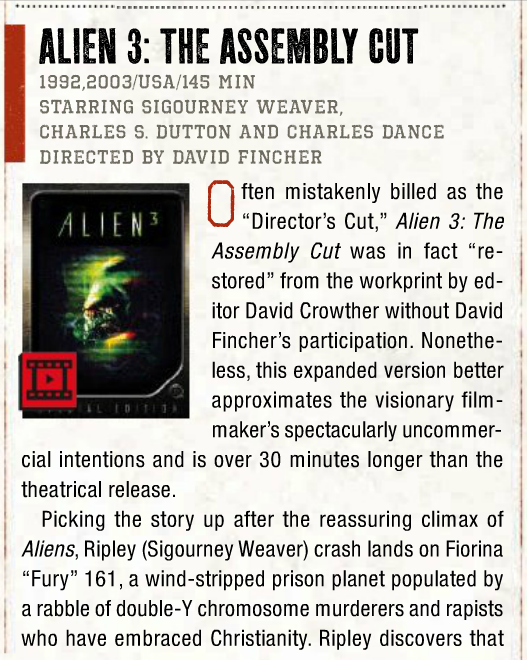 On that note, I especially like the book's impassioned defense of much-maligned movies – such as the threequels "Halloween III," "Alien 3" (as long as it's the Assembly Cut), and "The Exorcist III" (which – interestingly enough – wasn't originally supposed to be an "Exorcist" movie at all). It is always refreshing to see a major publication take a bold stance and ignore conventional wisdom, especially when it's done in such an intelligent, informative manner. The top ten sections are great fun too. '80s horror-comedy classic "The Monster Squad" is listed as one of the best "Family Frightfests" and the underrated "Daybreakers" earns a spot in the "Alternative Vampire Films" category. The ultimate aim of a book like this is to give its readers new options to consider. 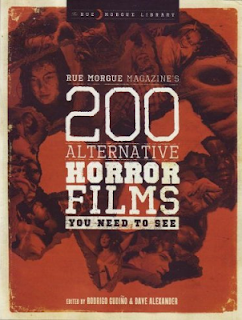 "Rue Morgue Magazine's 200 Alternative Horror Films You Need to See" succeeds in doing just that. I know I certainly plan on watching several of the movies mentioned within.